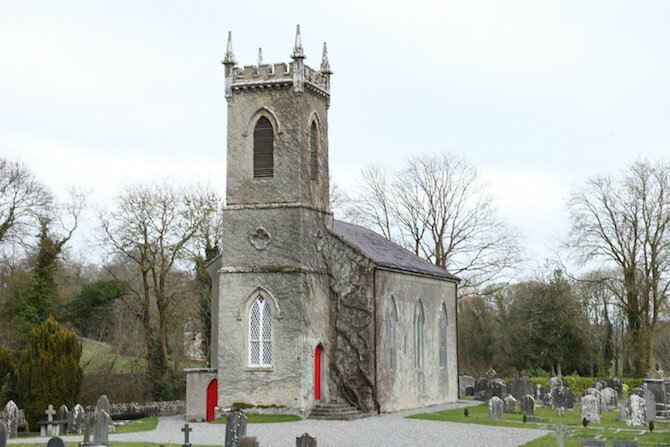 Built in 1815 St. Peters Church is a well-appointed modest-scale rural church conforming to the standard arrangement of nave and tower identified as a hallmark of churches sponsored by the Board of First Fruits (fl. c.1711-1833). - The rain water goods were leaking and in a bad state of repairs, which were also damaging the interior walls. - The gutters could not be removed without disruption to the slates that were in perfect condition as the gutter was plastered in place. - Fitted a liner inside the gutter to create a seamless gutter. - Carried out repairs to lattice windows.